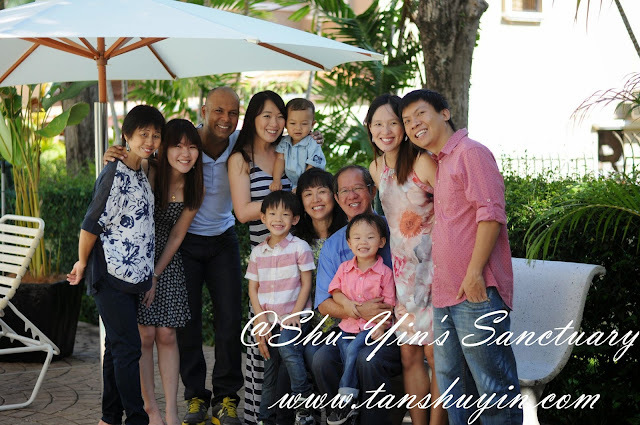 My sis, Shu-Wen & family were back to Penang, so we decided to take some family photos. We were quite last minute and also to save some money, we decided to DIY! 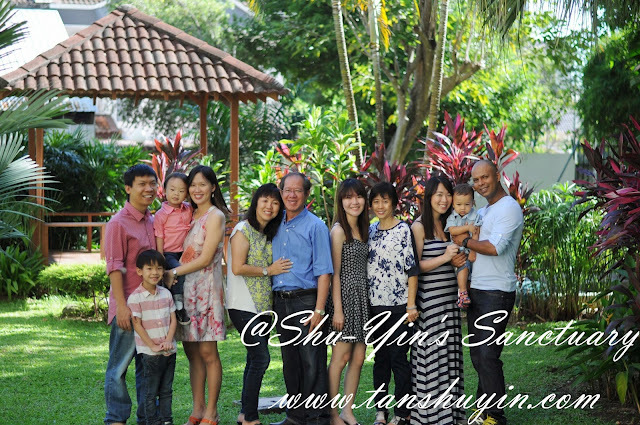 We got our neighbour to help us click on the family photo of everyone (instead of using the timer) so that she could say 'cheese' or '123' as we have 3 kids that needed that! And the rest of the individual families, we could take it ourselves! 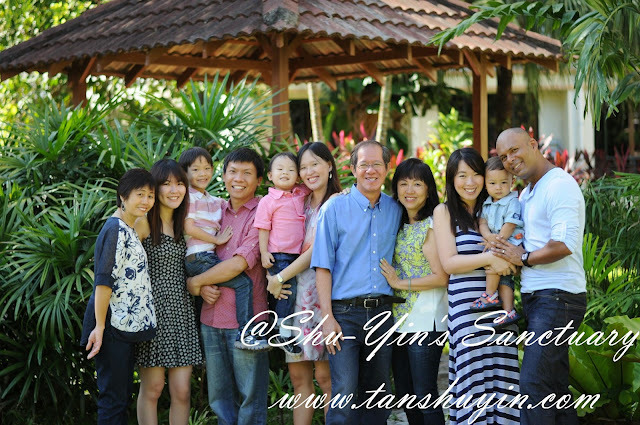 And thanks to her, we got very decent and nice family photos of all of us, I must say. Thank you very much Tsu Yin. 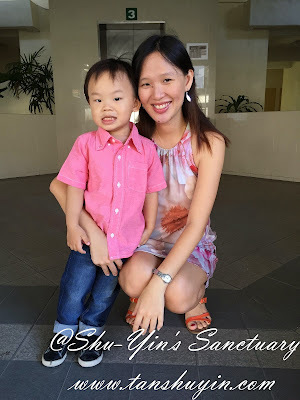 Photos taken in my mum's apartment garden (same like what we did in 2011, and 2013). This venue is the best. 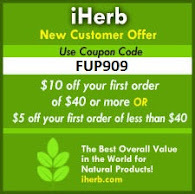 Is nearby; just downstairs, and is nice and has lotsa greens. 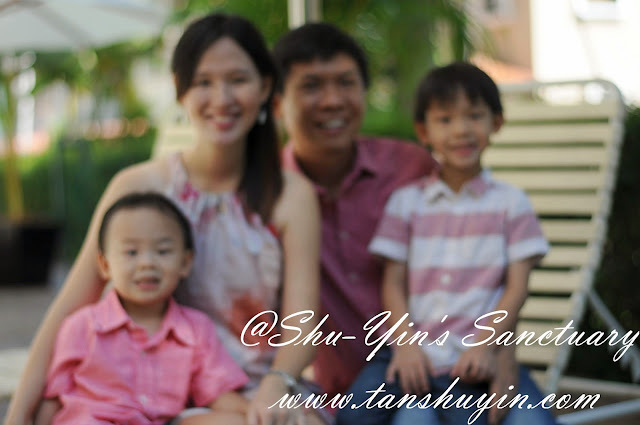 We then took photos of individual families and groups. This is the Tans. My parents with their 3 daughters. And then the Abels; Ian, Wen and Ethan. 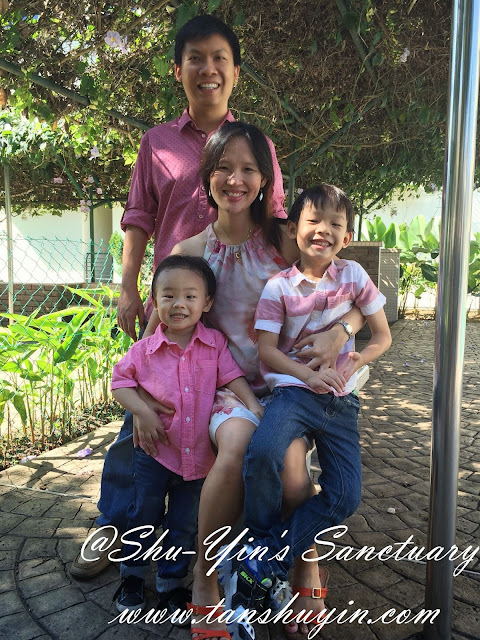 And one of us, the Lims. Luckily, we did take another one using my mobile phone. Then of us 3 sisters. Reunited again like the photos we took 2 years ago. Then of us 4 girls. 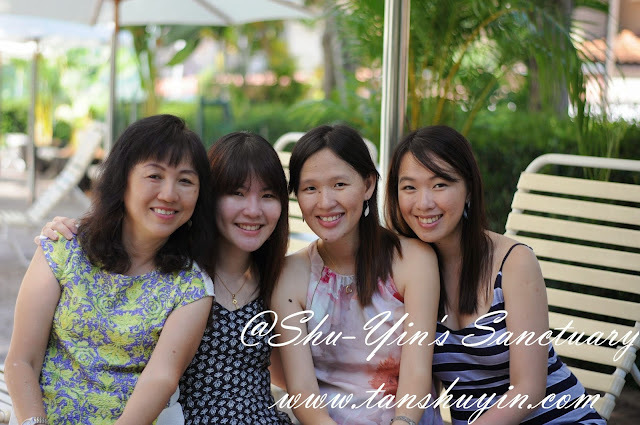 Mum and us girls. And now 5 girls. Ah-yee joining in. 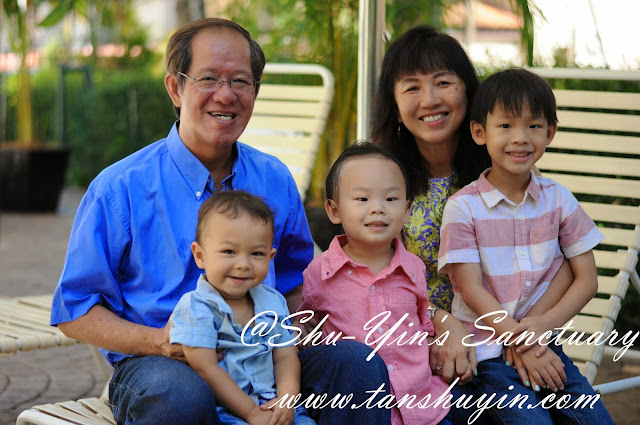 Next, photo of the grandparents and their 3 grandsons. And then these are 3 fathers. 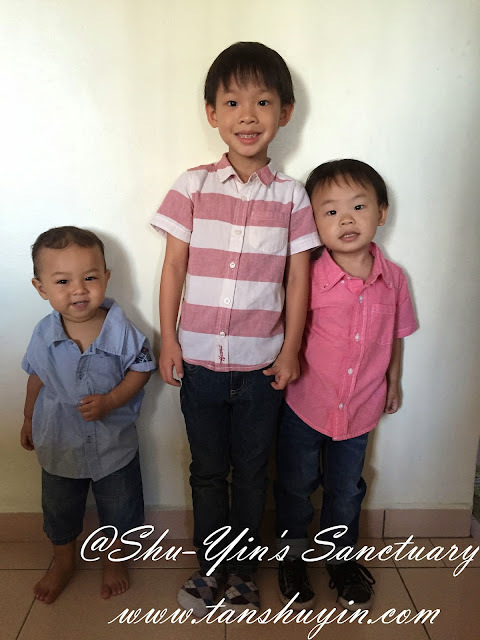 The 3 little boys, looking all sweaty and fluttered towards the end of the photography session, thanks to hot and humid Malaysia weather. 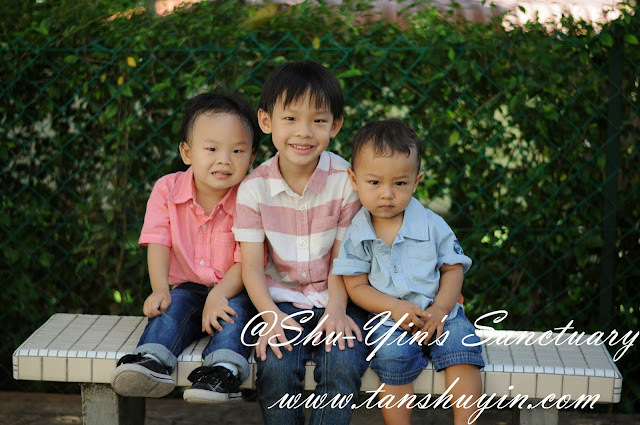 Let me post another one of the 3 little boys taken before the shoot when they were still in the house. And this one taken using my mobile when we went out for dinner later that night. 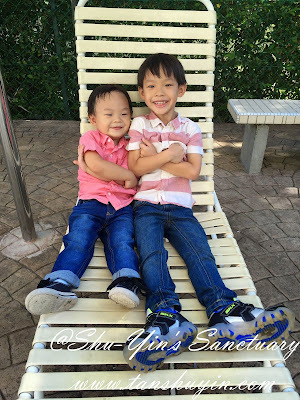 Ok, I will just end this post with below photos of my 2 cheeky boys tanning on the bench while the other family members are busy taking photos. And I'm so glad I have a very supportive and loving family.